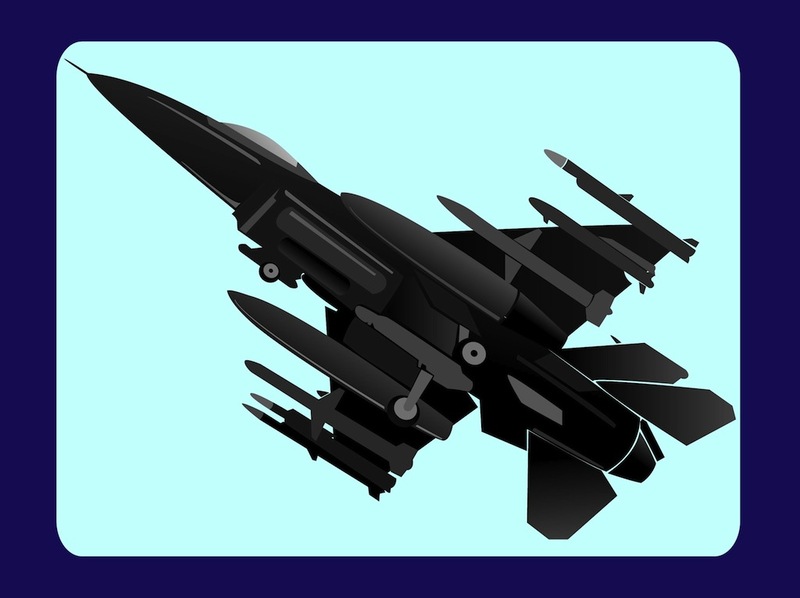 Military vector graphics of a jet fighter. Detailed image of the airborne vehicle. Comic book style graphics of military plane to design war, army, military aircraft, aerial combat, aviation, bombing, fighting, battle and attack visuals. Free vector plane image for posters, flyers, stickers and icons designs. Tags: Army, Aviation, Bombs, Fight, Fly, Military, Plane, War.